A Philadelphia police car in Center City. Minutes after the calendar turned, ending one of the most violent years in more than a decade, not much had changed in Philadelphia. A man in his 20s was found shot and killed in Kensington, less than 15 minutes after midnight on New Year's Day, according to Philadelphia police. It is being investigated as the first homicide in the city of 2019. The incident happened on the 3200 block of Tampa Street, and NBC10 reported the man was found shot once in the head. No arrests have been made and the victim's identity has not been released. 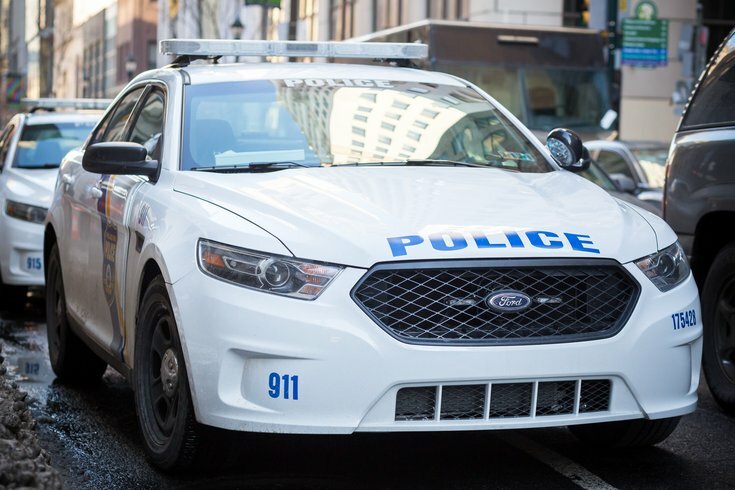 According to the police department's crimes stats, there were 351 homicides in Philadelphia in 2018. That is an increase from 315 homicides in 2017, and the most in Philly since 2007, when there were 391. The fewest killings Philadelphia has recorded in any of the past 12 years was 246 in 2013. The city's rising homicide rate bucks the trend in the surrounding communities in New Jersey and Pennsylvania, and violent crimes across the United States have been declining since 1990, WHYY reports. Authorities believe Philadelphia's spike in killings is drug-related. As of mid-December, Philadelphia police had categorized 120 of the city's 335 homicides as motivated by drugs, which is nearly two times the number of drug-related killings in 2017, Philly.com reported. Through Dec. 30, police stats show violent crimes in Philadelphia were 5 percent lower in 2018 than 2017. The number of aggravated assaults not involving guns, rapes and robberies had all declined, but the number of homicides and aggravated assaults with a gun had increased. Last week, Philadelphia police reassigned Capt. Jack Ryan, who had been in charge of the Philadelphia Police Department's Homicide Unit. The reason for the change was not announced publicly, but 6ABC reported it had to do with departmental issues rather than Philly's homicide rate.